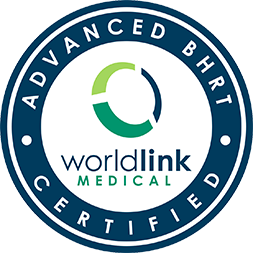 CIMT is a new noninvasive ultrasound test that is being recommended by the American Heart Association and the American College of Cardiology to screen for heart disease in apparently healthy individuals ages 45 or greater. 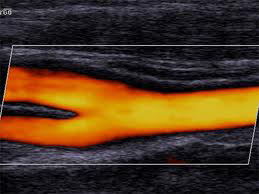 CIMT stands for Carotid Intima-Media Thickness. This test is conveniently available in our institute. This is a noninvasive test, which is performed with a high-resolution B-mode ultrasound transducer. The test is safe, painless and takes about twenty minutes. After applying conducting jelly to the skin over your neck, a small hand-held transducer is applied to image the carotid arteries. The sonographer measures the combined thicknesses of the intimal and medial layers of the carotid artery walls. The carotid arteries provide a “window” to the coronary arteries. Not only do they have similar risk factors – more importantly, the relationship between the atherosclerotic burden in a carotid artery and a coronary artery is the same as between any two coronary arteries. Thus carotid atherosclerosis provides a window to the degree of coronary atherosclerosis in an individual. CIMT is an independent predictor of future cardiovascular events, including heart attacks, cardiac death, and stroke. Cardiovascular disease is the number one cause of mortality in the US. Over 30% of the time, the first symptom is an actual heart attack or stroke. That’s why it’s called the “silent killer.” The good news is cardiovascular disease is preventable with proper screening, testing and active prevention. CIMT is a value, which tends to increase with age. Published studies of CIMT measurements in 15,000 patients ages 45 to 65 have made it possible to develop a reference range of what is “normal” at different ages. After your measurements are taken, the results are compared to this same computerized database of 15,000 patients.